Scientists monitoring the Earth's climate and environment have delivered a cascade of grim news this year, adding a sense of urgency to UN talks starting Sunday in Poland on how best to draw down the greenhouse gases that drive global warming. The 2015 Paris Agreement calls on humanity to block the rise in Earth's temperature at "well below" 2 degrees Celsius (3.6 Fahrenheit) compared to preindustrial levels, and 1.5C if possible. Earth's average surface temperature from January to October 2018 was one degree Celsius (1.8 degrees Fahrenheit) higher than the 1850-1900 baseline. Concentrations of the second most important greenhouse gas, methane (CH4), have also risen sharply due to leakage from the gas industry's fracking boom and flatulence from expanding livestock. 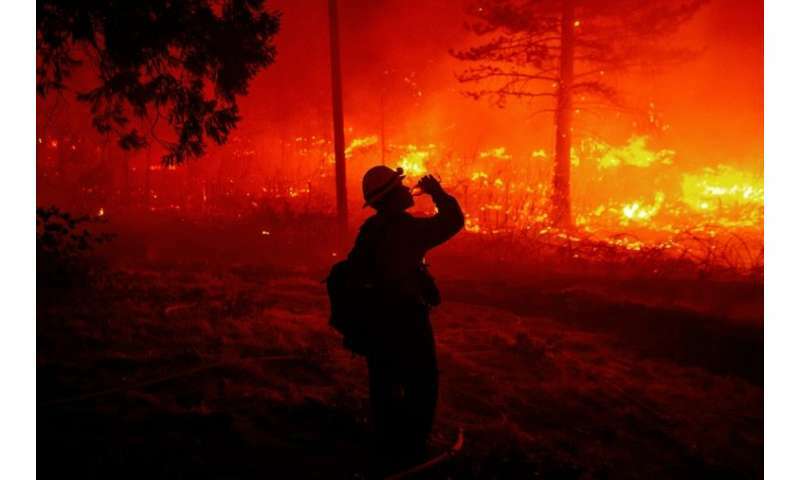 The number of climate-related extreme events—such as droughts, wildfires, heatwaves, floods and cyclones—has doubled since 1990, research has shown. 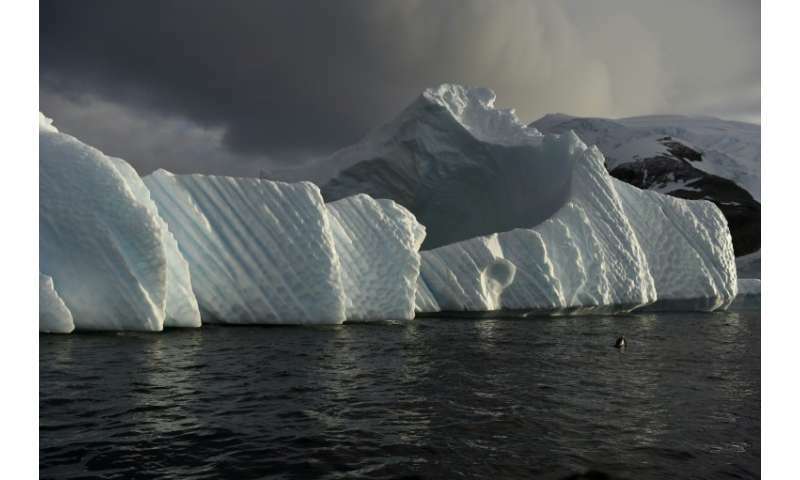 Melting glaciers could lift sea levels a metre (three feet) by 2100, and—with only 2C of warming—by several metres more over the following centuries. Of the 8,688 animal and plant species listed as "threatened" on the International Union for the Conservation of Nature's (IUCN) Red List, a fifth have been hit by climate change. From 1970 to 2014, the global population of vertebrates—birds, reptiles, amphibians, mammals and fish—plummeted by about 60 percent, due mainly to killing for food or profit, and habitat loss. The number of species is declining 100 to 1,000 times faster than only centuries ago, which means the planet has entered a "mass extinction event"—only the sixth in the last half-billion years. Bad Bad news indeed ! When will the half brain dead and realize the destruction they are stoking on ! Very Grim, and it is going to get worse ! This is getting worse by the day, and the Deniers have absolutely no conscience whatsoever ! The Denier Lunatics are the greediest self delusional prats in existence ! They only care about wasting the earth and fattening their filthy pockets ! ! ! It takes a highly developed pessimism to find "grim news" in a global average temperature rise of 1° C over the last 170 years. Much of that, if not all, is a rebound from the cooler temperatures of the Little Ice Age that lasted for a few centuries and brought untold misery to Europe. What is always left out of the news is that global temperature rise has virtually stalled over the last 2 decades. The warming trend of the most recent 20 years (and, in fact, the last 170) is in line with the lowest global climate model projections, the RCP2.6 scenario, despite global CO2 emissions increasing at a rate imagined in the oft-quoted, most dire RCP8.5 (do nothing) projections. The computer projections are drastically over-inflated. All that melting ice causing so much hand-wringing for the alarmists has had no noticeable effect on sea level rise. It still continues at 1.7 (tide gauge measure) to 3.2 (satellite measure) millimeters per year (6 to 13 inches per 100 years) with no appreciable acceleration. In fact, the rate is decreasing slightly lately. Laughable. You're not getting my money, you're not getting my guns, you're not shutting down our economy nor our manufacturing with your Marxist BS and lies. Take you GW BS and cram it. The trolling on this website isn't even impressive on its own. Just the same five or so idiots repeating the same tired conspiracy theories to try to get a rise out of people. Honestly, where are the mods? The Little Ice Age remains for the present the subject of speculation. The most likely influence during this period is variable output from the sun combined with pronounced volcanic activity. We know that from the end of the LIA to the 1950s the sun's output increased. But since WW2 the sun has slowly grown quieter, yet the temperature on Earth has gone up. Claims that global warming has stopped are not. It is an illogical position: the climate is subject to a lot of natural variability, so the premise that changes should be 'monotonic' – temperatures rising in straight lines – ignores the fact that nature doesn't work like that. This is why scientists normally discuss trends – 30 years or more – so that short term fluctuations can be seen as part of a greater pattern. (Other well-known cyclic phenomena like El Nino and La Nina play a part in these complex interactions). The temperatures are going up, just like the theory predicted. But where's the connection with CO2, or other greenhouse gases like methane, ozone or nitrous oxide? The connection can be found in the spectrum of greenhouse radiation. Using high-resolution FTIR spectroscopy, we can measure the exact wavelengths of long-wave (infrared) radiation reaching the ground. All ..... (6 to 13 inches per 100 years) with no appreciable acceleration. In fact, the rate is decreasing slightly lately. What really governs the warming potential is how long the extra CO2 remains in the atmosphere. CO2 is essentially chemically inert in the atmosphere and is only removed by biological uptake and by dissolving into the ocean. Biological uptake (with the exception of fossil fuel formation) is carbon neutral: Every tree that grows will eventually die and decompose, thereby releasing CO2. (Yes, there are maybe some gains to be made from reforestation but they are probably minor compared to fossil fuel releases). Hilarious, Is you brain as ingrown as your toe nails ? The only BS that is spoken is coming from your snout, Global Warming is Real and it's Idiots like you that will be continued to be exposed right here everyday ! Your greedy filthy intentions have no conscious ! And it WIll end some day. Humans are redistributing species all over the world. Eventually this will make the species stronger throughout the earth. Biggest problem I see is loss of habitat for animals. Global warming opens up so much more habitat for animals. If the ocean is 20 meters higher in 2000 years I think we have time to adjust. So because I'm not turning over my god given freedom to Chinese Communists, I'm 'greedy'. Pathetic... You NWO globalists are no better than cockroaches. You want civil war? Bring it. NOW you understand the 2nd amendment. And as always, Chinese pollution outstrips everyone else's. So how many Chinese coal barons are on the Central Committee of the Communist Party of China? And as always, Chinese pollution outstrips everyone else's. Only in the last short while, the USA (also UK & Germany) just about outstripped the rest of the world for more than a century. I wonder what the total emissions per country since 1850 is? In the US, coal plants are being cancelled at the reported rate of 192 to 30. That's more than are operating. The big problem is China. The US can do all it can, but China has to stop burning coal or we're sunk. And this is something I have been saying for twenty years. China doesn't reject the Paris Protocol but they don't adhere to it either. Is this better or worse than the US? Reports like this this regularly ignore the recent revelation that a "peer reviewed" article in Nature claiming the oceans are warming faster than expected was found to be false. This continues a pattern where up to 90% of all "peer reviewed" articles are being found to make irreproducible claims. And many of those claims, it seems likely or even expected, include irreproducible claims related to "climate change"! Much of the material "climate change" assertions are based on may be false! Note, the fires out West are abnormally large even compared to recent years. No one seems to be looking at the evident likelihood they were actually set and artificially sustained and intensified. So many insist on building expensive homes here, even after supposed evidence of "climate change". Then the homes burn and they file claims. The wildfires may be a massive fraud scheme based on claims of "climate change"
Look at the per capita part of the graphic above. A person in the US emits between 2 and 3 times more than a Chinese. Much of that is because the world offshored energy intensive manufacturing to China--it isn't the average Chinese person living wastefully like in the US and Canada. So much of China's pollution is actually yours and mine. Also for every $1 the US invests in green energy, China invests $3, so in the long run at least, they'll be a greener place to have things made than the US. Germany would be a good role model for all 3 countries I mentioned, industrialized, high standard of living and half the per capita CO2 emissions of the US or Canada. Liar.. Liar.. Pants on fire. The results presented in the article you refer to did not change. What changed were the error bars surrounding those results. Not interested in per-capita. 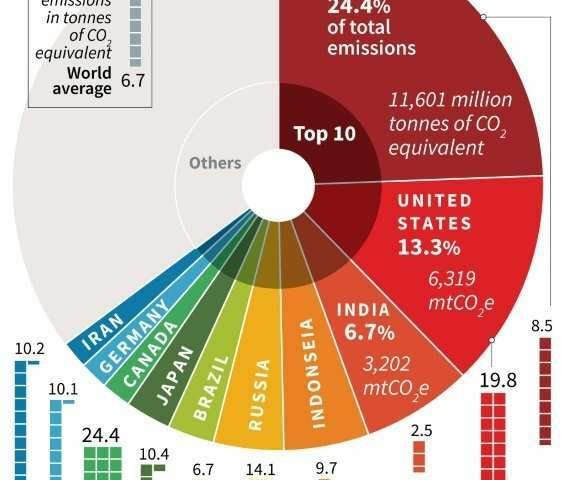 Interested in how much carbon each nation is emitting and China is the big criminal. Like I said, I wonder how many coal barons are on the Central Committee of the Communist Party of China? 192 to 30 isn't a rate. Your statement is incoherent and meaningless. US FOURTH NATIONAL CLIMATE ASSESSMENT Report 2018 says (link below) - In the last 10 years, the share of generation from natural gas increased from 20% to over 30%, while coal has declined from nearly 50% to around 30%. Solar and wind generation in the United States grew by 44% and 19% during 2016.